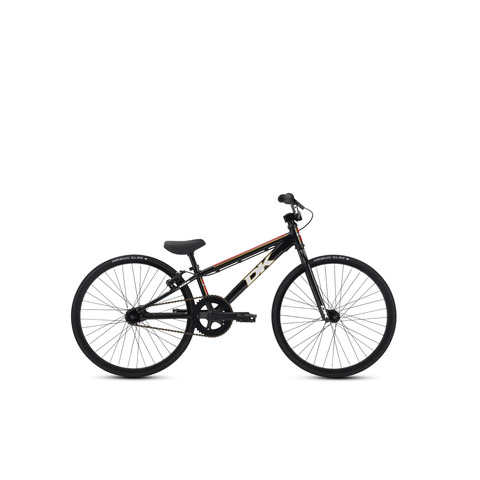 The DK Swift series was created as an affordable start to the BMX experience for the track, the trails, or cruising through the neighborhood. Each bike in the Swift collection features a strong and light aluminum frame, with steady geometry that is a little more forgiving for riders on the learning curve. Aluminum components like the 3-piece cranks, stems, and rims team up with a blend of sturdy steel parts for a balance of weight, strength, and nimble handling. The end result is a lightweight bike, allowing full control for the rider and easy for parents to lift into the car. Attention to details like all-terrain tires and lightweight seat/post combos in sizes to match each model make these bikes perform without taking out a loan to pay for them. DK’s roots are in racing, but the DK Swift series bikes are as much at home on the local bike path as they are at the BMX track.